A New York court has ruled that the London dealer Richard Nagy must return two watercolours by Egon Schiele to the heirs of an Austrian-Jewish Holocaust victim, whose collection was allegedly looted by the Nazis during the Second World War. Woman in a Black Pinafore (1911) and Woman Hiding Her Face (1912)—together valued at around $5m—had previously been in the collection of the cabaret artist Fritz Grünbaum (1990-1941), who was arrested by the Nazis in 1938 and sent to Dachau concentration camp, where he died in 1941. 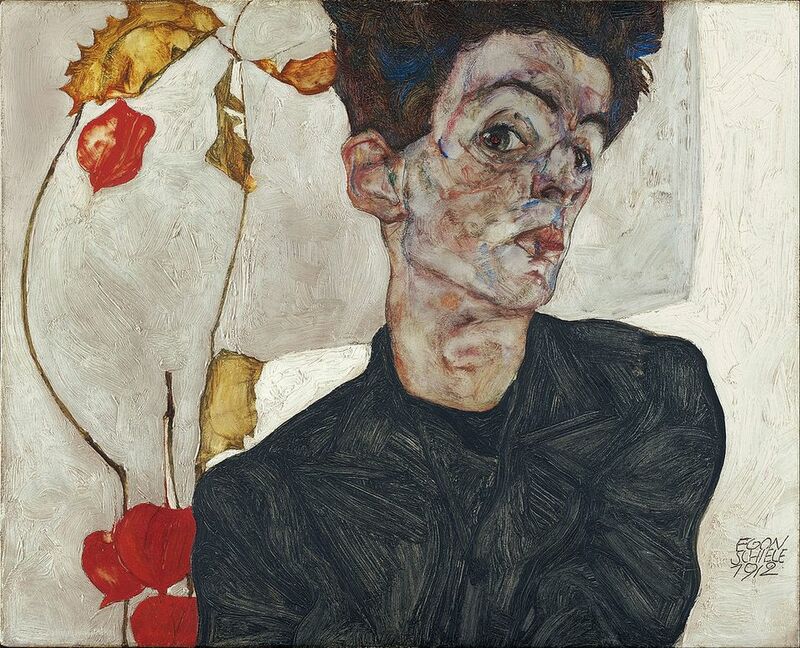 After his arrest, power of attorney had passed to his wife, Elisabeth, who was forced to sign over his art collection (consisting of over 500 works, including at least 81 by Schiele) to be inventoried after she was forced from their apartment. Elisabeth also died in a camp, in 1942. Nagy, a specialist in German Expressionist art, said he bought the works legally and argued that they had passed hands legitimately in the years since they were sold at a Swiss auction in 1956, when they were consigned by Elisabeth’s sister. However, in his ruling against Nagy yesterday, Thursday 5 April, Justice Charles E. Ramos said that the way in which the paintings had initially been seized undermined this. "A signature at gunpoint cannot lead to a valid conveyance," he said. Ramos rejected Nagy’s defence that the two works could not be seized under the Holocaust Expropriated Art Recovery Act (HEAR). This act, which came into force in 2016, extended the period of time that claims could be made on Nazi-looted to works to six years after they are first discovered. The case against Nagy was bought by Grünbaum’s heirs— Timothy Reif, David Fraenkel and Milos Vavra—after the two paintings were seized at the Salon of Art + Design fair at the Park Avenue Armory in November 2015. “Although defendants argue that the HEAR Act is inapplicable, this argument is absurd, as the act is intended to apply to cases precisely like this one, where Nazi-looted art is at issue” said Ramos in his judgement. In his court defence, Nagy had cited the 2005 suit brought by David Bakalar, a Massachusetts industrialist turned sculptor, against Vavra and Leon Fischer (another Grünbaum heir) in which Bakalar argued he was the rightful owner of the Schiele work Seated Woman with Bent Left Leg, which he had bought in 1963. After a seven-year legal battle, in 2012 the Second Circuit Court of Appeals ruled in Bakalar’s favour on the grounds that the Grünbaum heirs had not acted soon enough to assert their right to title. That case also raised the question of whether the work was ever looted by the Nazis—the whereabouts of the Grünbaum collection is unknown between 1942 and 1956, when around 50 works resurfaced in a sale at Eberhard Kornfeld, a Swiss auction house, consigned by Elisabeth’s sister, Matilda Lukacs. There has been debate among experts as to whether the works were seized by the Nazis or hidden during the war. However, at the same time Dowd, who also represented the Grünbaum heirs in the Bakalar case, said he expected this case to be judged differently due to the newly enforced HEAR Act. He then pledged to produce new “smoking gun” historical evidence, which he says was excluded from Bakalar.